Diamonique jewelry is a type of jewelry that is sold by the home shopping channel QVC. Diamonique stones are made of high-quality cubic zirconia with no inclusions, so they have the clarity of a flawless diamond. Diamonique rings are popular, because it is nearly impossible for someone who isn't a jeweler to determine that the stones aren't authentic diamonds. 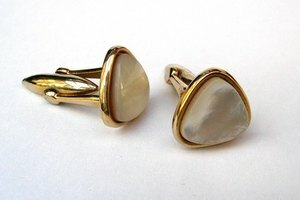 These stones don't need any special care; you clean them as you would any other piece of jewelry. Pour 4 cups of lukewarm water and 2 tbsp. mild dish soap into a bowl and mix thoroughly. 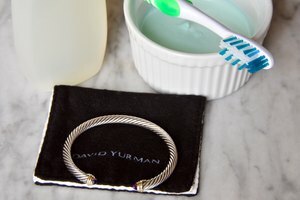 Place your Diamonique ring in a strainer that will fit securely on top of the bowl without falling in. Put the strainer on top of the bowl. The water should surround the entire ring. Allow the Diamonique ring to soak for approximately 20 minutes. Remove the strainer from the water and place it on a clean towel. 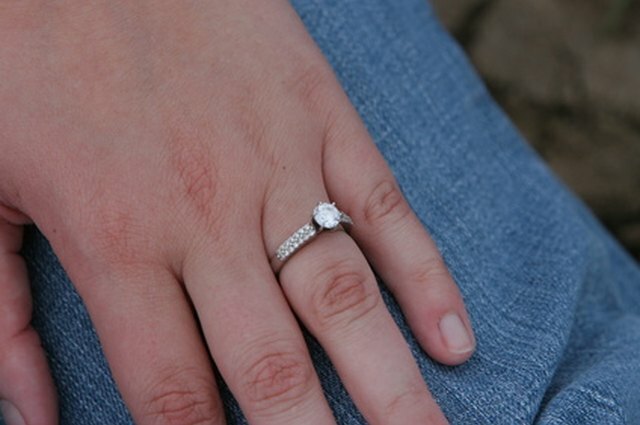 Check to make sure that the stones on your ring are all secure. Scrub the entire ring gently with a soft-bristled toothbrush. Brush on top of the stone, underneath the stone and all around the band. Get dirt out of tight spaces by running a toothpick along the cracks and crevices. Place the ring in the strainer again, and rinse it with lukewarm water. Dry your Diamonique ring with a clean, dry towel. Check the stones on your Diamonique ring often, as dirt and debris can make it seem like they are well set when they are actually loose. Store your Diamonique ring in the box or pouch that it came in if you won't be wearing it for an extended period of time.